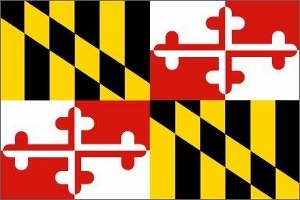 The hot topic during the Maryland legislative session was how Maryland will adapt to the recent changes in federal income tax and health insurance laws. Beyond the headlines, the Maryland General Assembly considered many bills which directly affect Maryland condominiums, homeowner associations, and housing cooperatives. Several new laws were enacted. Suspension of Parking and Amenities. A bill to make it easier for condominium associations to collect delinquent assessments by suspending use of the common area parking lots and recreational facilities was enacted. The new law allows approval by 60 percent of the total eligible votes to amend a condo declaration to provide for suspension of use of these portions of the condominium property when an owner is delinquent in paying the condo assessments for more than 60 days. This is far less than the 80 percent minimum required by the Maryland Condominium Act for other declaration amendments, and some older condo documents require as much as 100 percent approval. The new amendment procedure takes effect October 1, 2018. Purchaser Protections. Beginning October 1, 2018, condo developers will no longer be able put provisions in condominium bylaws or sales contracts which shorten the time for condo associations and owners to file suit against the developer regarding construction defects. This applies to claims which allege failure to comply with implied statutory warranties, building codes, government approved plans and specifications, or manufacturer's installation instructions. Separately, a new law will allow for an earlier turnover of developer control of a homeowners association by preventing developers from using disproportionate weighting of votes for lots owned by the developer. Instead of getting multiple votes for each lot, the developer will have one vote for each lot which has been subdivided, recorded in the land records, and not yet sold to a member of the public. Discriminatory Covenants. Where covenants restrict ownership based on race, religious belief, or national origin, the board of a homeowners association must delete these unenforceable restrictions from common area deeds and declarations by September 30, 2019. The board may delete these restrictions without action by the homeowners, as of October 1, 2018. The final version of this legislation eliminated proposed provisions which would have created new fair housing liability for HOAs.